You can book private transfers from the airport to any destination! Book online any of our airport transfer. Send an email to Customer Service with any questions you may need an appointment or call Luis: (506) 8823 2111 7:00 a.m.-8: 00 pm to learn more about the services we offer. 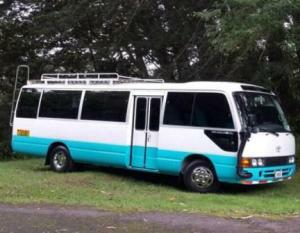 We also offer hotel to hotel transfers and Tours shared services as one of the most economical shuttles. 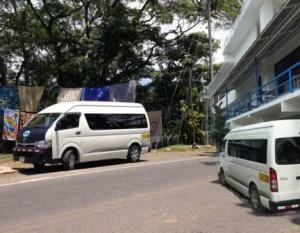 Jaco Beach, and Quepos, Manuel Antonio Transfers here are some of the most popular services Destination http://cuchitransfers.com Alajuela Airport Hotel in Jaco Beach, Quepos, Puntarenas, Herradura and many others. Puerto Quepos, Manuel Antonio is a tropical inlet surrounded by primary rainforest, fronted by the main beach and known as one of the best places in the world for big game sport fishing. It’s a small town some 160 kms form San Jose in Puntarenas province, located on Costa Rica’s central Pacific coast, Quepos is a beautiful village to enjoy a nice relaxing time. The place is a delightful, charming town with many fine, restaurants, bars, reasonably priced hotels, accommodations and luxury resorts from Manuel Antonio to the downtown, bakeries, art galleries and gift shops. During festival time’s parades, street carnival, concerts and dancing, where quepeños are very friendly and they going out of their way to make sure everyone has a good time. With an interesting atmosphere that is all its own, the best time to visit Quepos is between January and April, when the weather is dry. 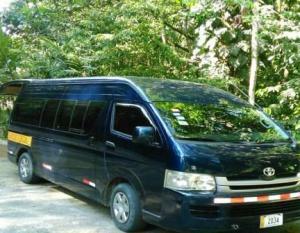 Quepos can easily be access using your own rent a car visit fastcr.com to get best price or call directly (506) 8875-6262. Though peak fishing season lasts from December to August, March and April can get pretty hot, while September and October brings the rain refreshing every one local as well a great time for visitors to visit the world famous Manuel Antonio National Park that is 7 km south from the town, or do some other great tours as water rafting, canopy. Quepos is also frequented visit by many international leading scientist and naturalist, who come here to study this regions fantastic variety of flora and fauna. Located inside the Tulemar Gardens Community, Doctors beach is a small but beautiful white sand beach protected for waves and undertows by two jungle peninsula on either side. This is a great family beach and during the high season, there is food and beverage service available on the beach. Biesanz Beach is the most protected beach in the area. Nestled into Punta Quepos there are never big waves and this cove offers some of the best snorkeling in the areas. Surrounded by the rain forest monkey and other wildlife are more abundant than humans on most days. There are no food or beverage services available on this secluded beach so make sure to remember to pack a lunch and some water. Playitas beach is a beautiful small beach easily accessed through the Arenas del Mar resort. This beach is unprotected so beware of waves and undertows but does have food and beverage services through the resort and is ringed by tropical palms which provide great shade from the hot tropical sun. Playa Espadillas is the main beach which leads to the entrance to Manuel Antonio National Park. This is an amazing beach for surfing, running, relaxing and people watching. At the south end on the beach, there are plenty of restaurants, bars, and souvenir shops to fulfill all your needs. This is an unprotected beach so be careful of big waves and undertows. Better know by the locals and second beach Playa Espadillas Sur is quite possibly one of the most beautiful beaches in the world. Rated top 10 beaches in Central America do not miss this beach while in the area. This beach is well protected by Cathedral point so you will rarely find high waves and undertows. This beach is located inside the park so you do have to pay to get in but it is worth it. There are no food or beverage services available inside the park so make sure to pack a lunch and don’t forget to bring some water. Located on the south side of the Manuel Antonio park peninsula this beach is breathtaking. Surrounded by jungle teaming with wildlife, this is the beach that people come from around the world to visit for a day or two. 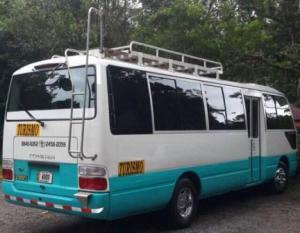 Click here if you are looking for a Transfer company in Manuel Antonio, Here you will not see any cars, only monkey, sloths and lots of birds. This beach is best visited after a guided tour through the park. The guides are professional and know how to find all the wildlife.